Coming along the N2 from the Airport, look out for the the M3 (Muizenberg) offramp, take the M3 for about 20kms till the highway ends in a T-junction, facing Muizenberg mountain. Turn right to Simonstown/Fish Hoek. 1km on, turn left up the mountain following “Ou Kaapse Weg/Fish Hoek” signboards. Continue over the mountain pass for ± 10kms then turn right into “Silvermine Rd / Noordhoek”. Drive for 2kms then turn right at the T-junction onto the M6(Chapmans Peak Drive), pass the Noordhoek Farm Village, then turn first right into Village Lane. 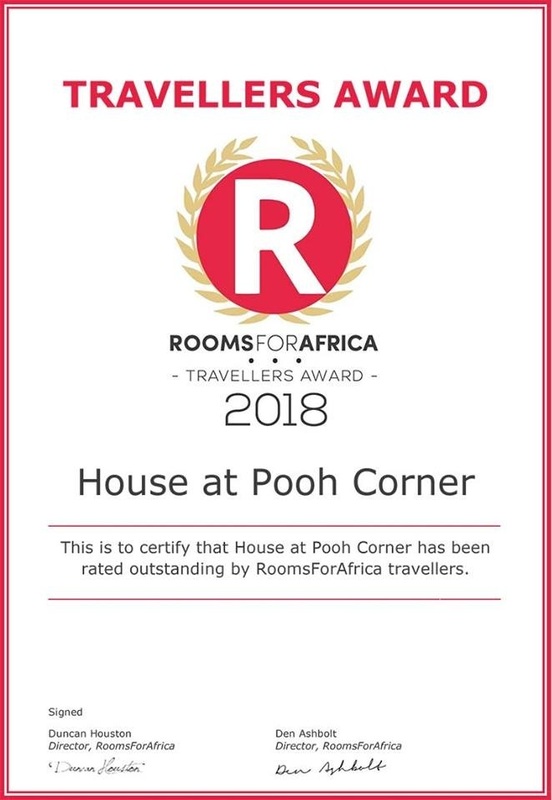 Pooh Corner is immediately on the left. Alternatively you could enter Noordhoek via the scenic Chapman’s Peak Drive M6 (Please note this is a Toll Road). Village Lane will be the first road left as you enter Noordhoek. Pooh Corner is immediately on the left. Please enquire if this road is open, as it is often closed due to maintanace, before trying to get to Noordhoek this way.